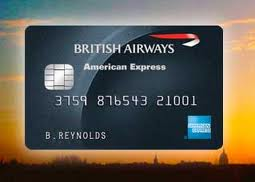 If I upgrade my BA card to the Premium Plus card to trigger a 241 voucher how long should the voucher be valid for. I have just done this and the voucher is showing an expiry date in 1 years time. If it has been triggered due to an upgrade to a Premium Plus card surely I should get the full 2 years? I have just had exactly the same experience. Called Amex and they logged a ‘case’ with BA to get it changed, and gave me 2000 Avios for the inconvenience. That was easier this week – still showing 1 year expiry but said could take 10 days. I’ve received my 241 after 20k spend on an Amex BA blue card. If I upgrade to black, does my 241 get upgraded to 2-year expiry? Oh i want to know this too – I am going to phone them today to ask as I want to use it in January.